In 1955, the 12-year-old was discovered by Walt Disney when she performed as the Swan Queen in Swan Lake at a dance recital at the Starlight Bowl in Burbank. Disney cast her as one of the original Mouseketeers; the last to be selected, and one of the few cast-members personally selected by Walt Disney himself. 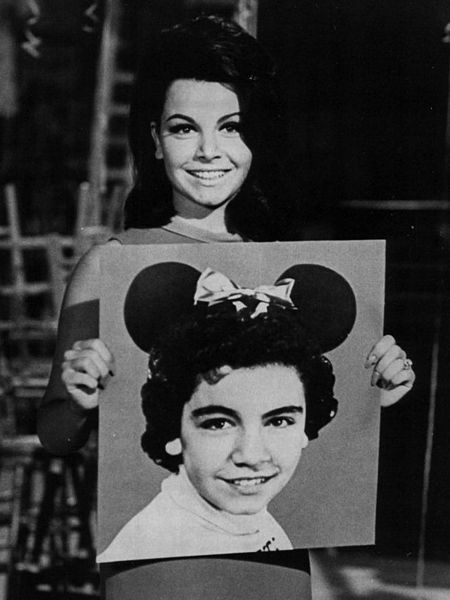 Annette proved to be very popular, and by the end of the first season of Mickey Mouse Club, she was receiving 6,000 letters a month, according to her Disney Legends biography. After the Mickey Mouse Club, she remained under contract with Disney for a time, and had a noted recurring television role in Zorro. Annette also co-starred in Disney-produced movies such as The Shaggy Dog, Babes in Toyland, The Misadventures of Merlin Jones, and The Monkey’s Uncle. Although uncomfortable as a singer, Funicello scored a number of hits in the late 1950s and early 1960s, and mostly penned by the Sherman Brothers, including: Tall Paul, O Dio Mio, Train of Love (written by Paul Anka), and Pineapple Princess. They were released by Disney’s Buena Vista label. She moved on from Disney to become a teen idol, starring in a series of Beach Party films with Frankie Avalon and Harvey Lembeck for American International Pictures. They included Beach Party, Muscle Beach Party, Bikini Beach, Pajama Party, Beach Blanket Bingo, and How to Stuff a Wild Bikini. The wholesome image earned in these films gained her a reference in the Grease song… Look at me, I’m Sandra Dee. As a personal favor to Walt Disney, she was the only co-star to wear a one-piece bathing suit. Annette and Frankie were reunited in 1987 for the Paramount release, Back to the Beach. She became a familiar spokesperson on television for Skippy Peanut Butter. Funicello announced in 1992 that she suffered from multiple sclerosis. She opened the Annette Funicello Fund for Neurological Disorders at the California Community Foundation. Annette remained lifelong friends with Shelley Fabares, Tommy Kirk, and Frankie Avalon. Her autobiography, A Dream Is a Wish Your Heart Makes: The Annette Funicello Story was written in 1994. Despite the loss in her ability to walk, and eventually, to speak, she was vigilant in bringing openess to her disease, which eventually cost the star her life. Annette Funicello was 70. <— MILO O’SHEA was a serviceable character actor, whose career transcended the end of the Studio Era of filmmaking to guest-starring roles during television’s golden age. He began acting on the stage, and then moved to motion pictures in the 1960s. He’s best known for playing the tempermental judge in The Verdict, which starred Paul Newman, James Mason, and Jack Warden. His film career included roles in Franco Zefferelli’s Romeo and Juliet, Barbarella, Theatre of Blood, and The Purple Rose of Cairo. 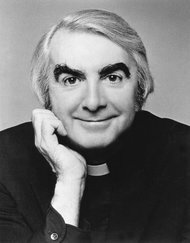 The affable Irishman also made memorable appearances in The Golden Girls, The West Wing, Cheers, and Frasier. 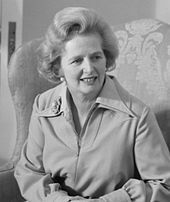 Part of a Hollywood-and-Vine metaphoric moment, Margaret Thatcher was 87. This entry was posted on Monday, April 8th, 2013 at 12:02 pm	and is filed under Blog by Manny Pacheco. You can follow any comments to this post through the RSS 2.0 feed. Responses are currently closed, but you can trackback from your own site.